In a recent interview with Inside Edge magazine, David "Devilfish" Ulliott was asked to name some examples of non-USA poker players that he admired for their all-round game. He cited Marcel Luske, Ram Vaswani and Derek Baxter. With so much television exposure of poker, some names appear frequently on our screens. Two of these are undoubtedly the singing Dutchman Luske and Crazy Horse Vaswani. However, not everyone who relies on TV coverage knows the name or the face of Derek Baxter. If one of the genuine great all-rounders like The Devilfish is impressed by Derek Baxter, we probably should be too. Derek Baxter can comfortably be termed a poker veteran. Now in his 60's, he has played poker for many a long year and is clearly good at it having taken 4th prize of over $124,000 in the $10,000 buy-in Pot Limit Omaha event at the Rio, Las Vegas during the World Series of Poker 2005. At the final table, he finished above luminaries such as Erik Seidel, Todd Brunson and Simon Trumper before finally falling to eventual winner, Rafi Amit. Amongst his other achievements in recent years on the tournament circuit are 7th in the $25,000 buy-in No Limit Texas Hold'em WPT Championship at the Bellagio, earning over $66.000, and 2nd place at the £1,000 buy-in No Limit Texas Hold'em British Open, earning £37,100 or nearly $60,000. Regular tournament cashes have come Baxter's way, both before and after these main achievements, most recently finishing 9th in the Main Event of The Christmas Cracker at the Rendezvous Casino, Brighton. Of course, it is sometimes forgotten that tournament players are frequently active cash game players and there are those with the opinion that Derek Baxter is one of the best cash players in the UK. When the likes of The Devilfish are happy to promote Baxter's name in public, it is reasonable to believe that claim and fear him should you ever be sat at the same table playing for real stakes. 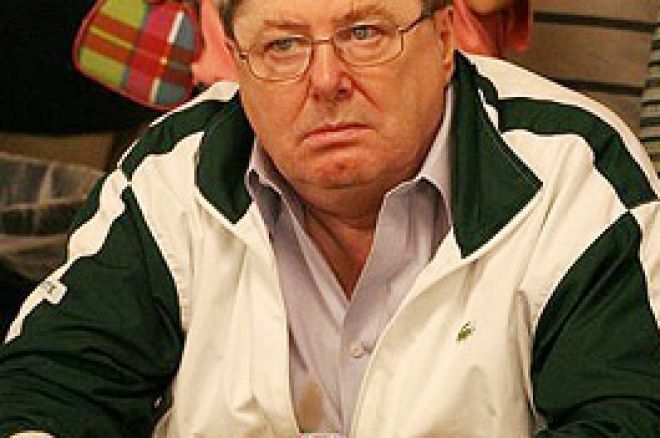 The Hendon Mob database makes the simple statement that Derek Baxter is a "top reader" of his opponents and "famous for making great laydowns" - attributes that have gone a long way to making him a successful cash player over several decades and which have enabled him to benefit from the increase in big-money tournaments. After over 40 years pummelling the poker tables, it is a fair bet that 2006 will see more of the same.